New looks for Ollies Trainstuff! Images shown here are clickable thumbnails. A pair of venearble Nohabs in Mora. Well, the page has been around for a while and suddently it became to large for my a lotted space in the server. Main reason for this was that I have during 2003 taken a bit more pics than before, why for the fun of it. But did not take that long before the alotted space of 100 megs was ful and the fact of the sdripts, various pop ups was tedious and the final straw was the fact the the earlier provider added a frame with more adds. Now at last pop up free, and plenty of space, I have the chanche to add more images to this site. 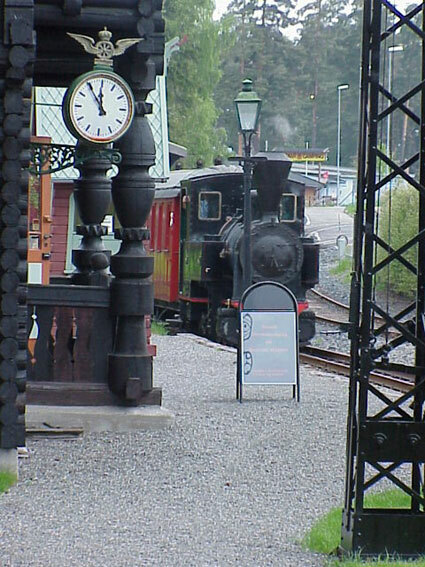 At the National Railway Museum of Norway, the 0-6-0T "Urskog" backs a train on the short 750mm gauge track within the property in May 2003. The images shown here are mainly from Norway and Sweden, and most of them spans from 1990.s to present. Though there are a few that are older than that. 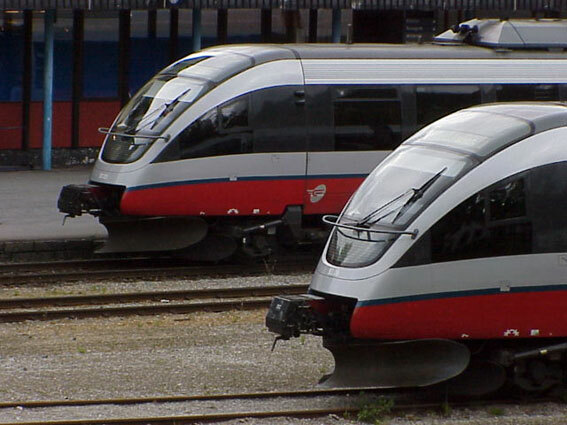 It is rather interesting how a few years makes a difference, especially the current state of European railroading, where the former national systems are broken down to new companies and operators. A image from just a couple years becomes a view from the past. 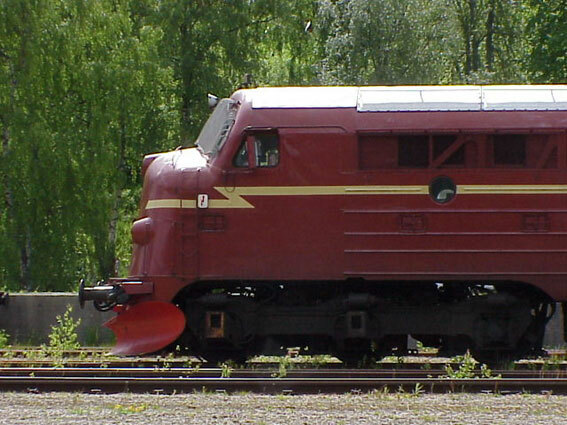 One of the classic looks on Scandinavian railroading is the Nohab build NSB in 1960.s livery in Åndalsnes in Norway. When I started taking these images, I started with my Canon T70 with various lenses, but lately most of the images are shot with a Sony Mavica digital camera. Which works great for webrelated images. 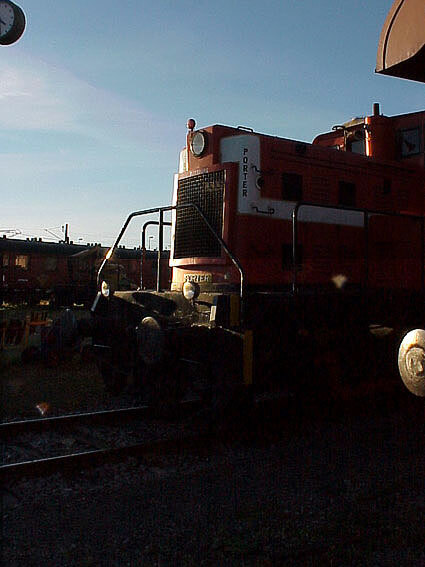 Some have been shot with a Mavica with a mini CD, and the results are more details and sharper images. In 2005 , I bought my first own digital camera a Canon EOS 300 D, which gives even sharper images, even though I still use about the same size as before on my images to save dic space and downloading time. The images here are free to download for personal use, as for collecting or modelling purposes. It is OK to use them on your webpage as long as you include the following text "photo by Ollie Ahokas" and a link to this site. If published commercially, please drop me a mail at olliehokas@yahoo.se for details. A simple rule, and not asking too much, don´t you think? If you want me to link to your page as long it is of same subject, drop me a line and I will be happy to do so. The galleries are displayed as clickable thumbnails and are under the galleries shown above. 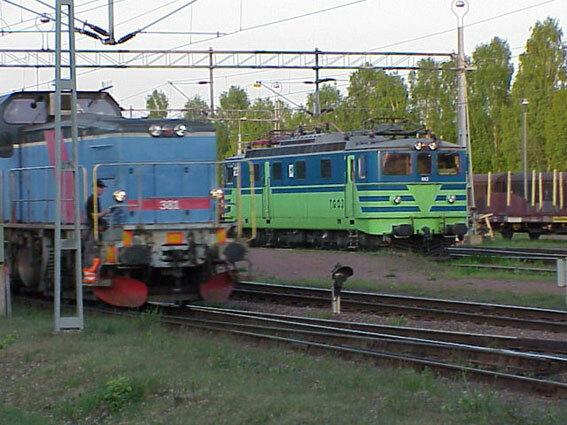 Todays railroading is dominated by sleak EMU.s and DMU.s on the passanger runs. 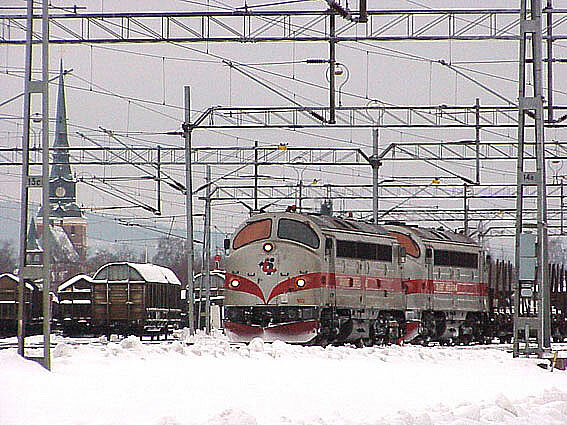 A pair of NSB Bm 93 at Åndalsnes in Norway. I have another home page, which is more in to details called Railscenes by Ollie which is focusing on sites that are just begging for modelling, or shows how the prototype deals with the common problem of modellers, the ever evident lack of space. Also there is a sort of faq list, based on my own knowlage & experiences, as a guide to new guys in the model railroading. 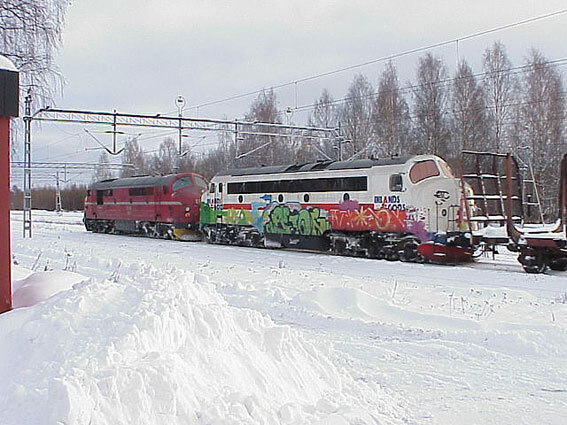 In Sweden, the former national company has been broken down to two different compaines SJ AB that handle the main line passanger runs and Green Gargo that handles freigth. To add even more variety, a number regional and private operators handle both passanger- and freight runs in various regions of the country. One of the specialities of the area I live is the population of Nohab covered wagons in a rainbow of colors. See more inside of this web page! 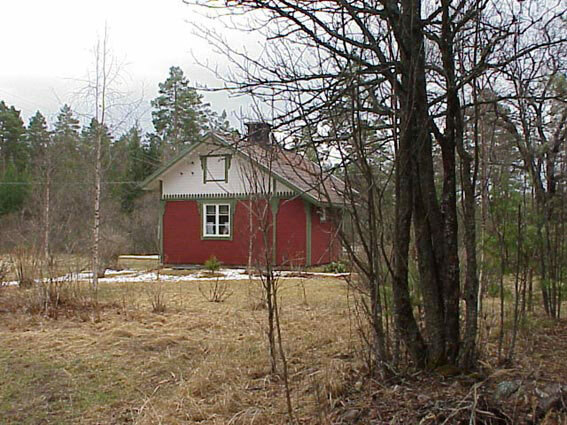 At Garsås, some 20 kilometers west of Mora and some 20 kilometers east of Rättvik is the location of this old cottage that housed a line man and his family. The structure and its just a small outhouse was considered enough quarters for the employee and his family. As the buildings awere constructed by a railroad company, with granted loans from the goverment, the buildings are indeed sturdy. With foundations made of hand cut stonte of rather impressive dimensions the building has survived through the years. In the 1990.s as my family purchased the property, a renovation was in order and as the trim was in such a bad shape we remodeled the building trim slightly and repainted it in scheme common on the western part of Stockholm - Westerås - Bergslagen line, which was nationnalized in the forties. 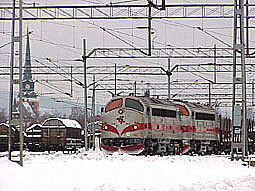 The track is just a few meters south of the building and a passing train will not pass unnoticed, even when you are indoors. The house is now serving as a familiy weekend cottage, and the heritage of the railroad is evident in few details in the interiour of the building. Banner and link to this site? Just paste and copy following code to your webpage. If you want to be linked back send me a E-mail!